Have you ever seen ghost furniture before? 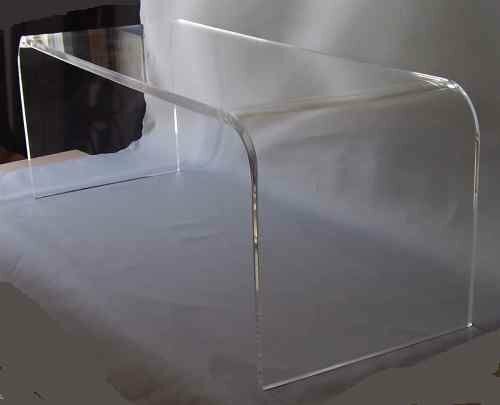 No, they are not for ghosts, they are transparent furniture pieces! You can’t actually see them, because they are invisible! Whether you call them ‘ghost furniture’ or ‘transparent furniture’, you mean these amazing CLEAR furniture pieces that look like crystal! They are usually made of acrylic and are very, very cool! Transparent ghost furniture goes very well with white furniture, as it helps create a very bright and ‘clean looking’ ambiance. It also goes great with black furniture and it looks very modern! My sister actually told me about them yesterday and sent me a few pictures on my email and I went crazy!! They are ultra-modern and definitely unique enough to deserve a page just for them! As you can see it’s very modern and very cool! It was made from acrylic and glass and it has a beautiful shiny finish! Transparent furniture also makes the room look bigger, since they are clear, light and ‘airy’! They also go with any color or design and you can actually ‘combine’ them with bold and bright colors if you want! All I can say is that I am now a fan! If you like cool, unique and modern furniture as much as I do, then I think these will definitely be for you too! What a beautiful ‘transparent’ coffee table! It is very spacious and also made from acrylic and glass. Will definitely make your living-room look ‘bigger’ and ultra-cool! For a more ‘dramatic’ ghost furniture effect you can also add a couple of ghost chairs nearby! 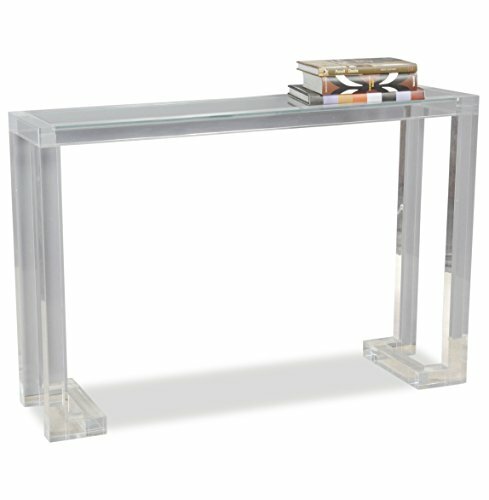 Another favorite ‘transparent furniture’ piece of mine is this ultra-modern acrylic console table for sale! You can use this beautiful clear console table to display your most beautiful picture frames or some cool sculptures, for example. 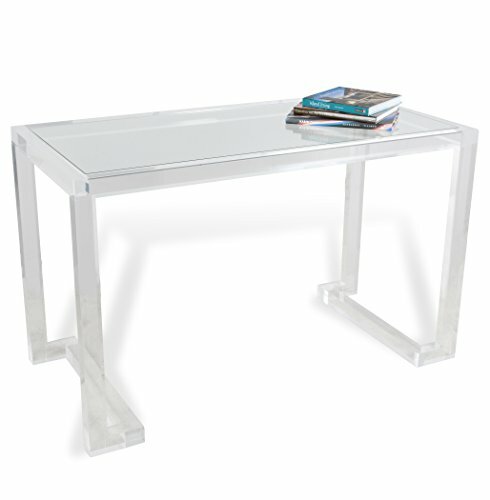 Clear Acrylic Cocktail Table for Sale! 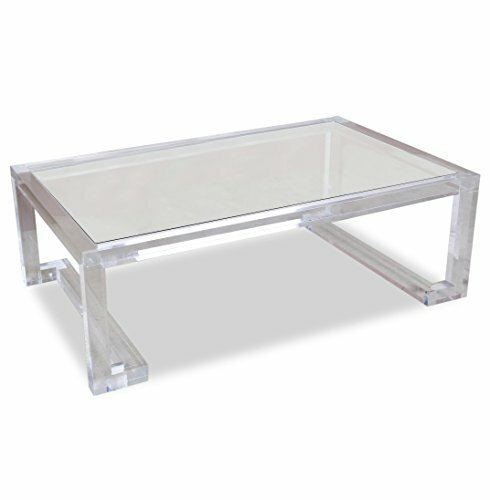 This is a fun and affordable clear acrylic cocktail table to have in the living-room or dining-room! Very solid, very durable and perfect for smaller rooms! It will keep the room nice and spacious! Will also make a cool housewarming gift idea! 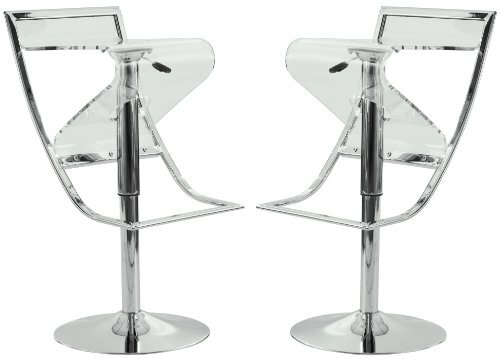 A set of very cool and modern clear acrylic bar stools for sale! Extremely easy to keep clean and very sturdy! If you know my work already you probably know I am absolutely crazy about these bubble chairs! 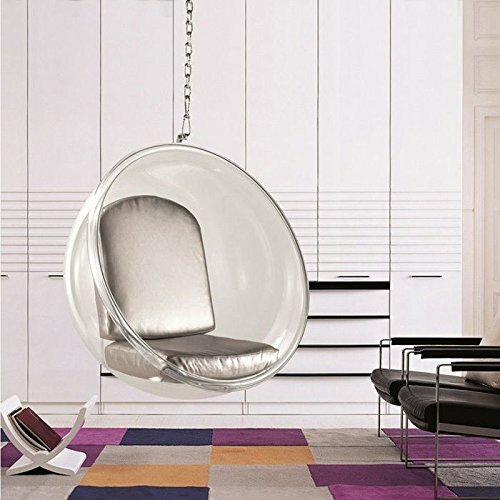 This is a very stylish clear hanging bubble chair! Perfect piece to create a cool and ‘chic’ living-room in your home! How’s this to create a cool ‘ghost living-room’? 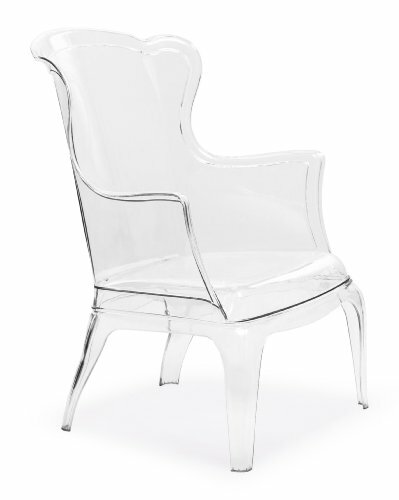 It’s a beautiful and very unique transparent armchair for sale! You can get two of them and place them next to your transparent cocktail table! It is made from solid polycarbonate and you can also have it outdoors or on your porch. 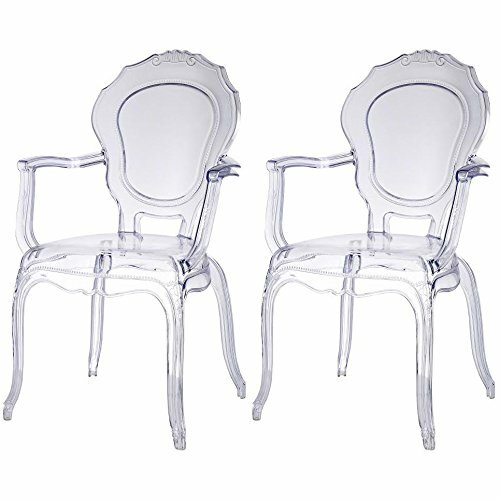 Another very cool and stylish set of two transparent durable chairs for sale! You can get two more and place them around your dining table or you can have them next to your cocktail table or by your windows near some plants. They are lightweight, easy to clean and easy to store. Very nice artistic design as well! 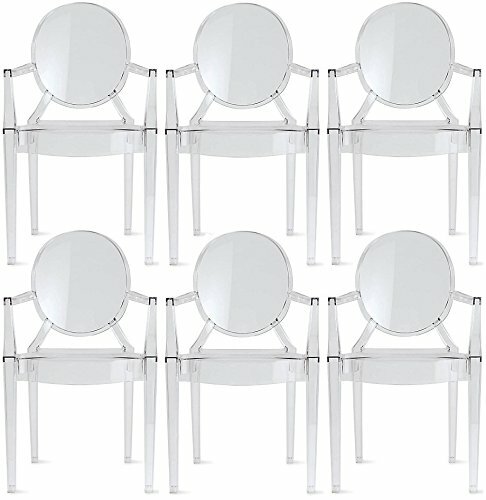 I LOVE these cool and modern transparent dining chairs! Fist of all you will get all SIX of them! The contemporary design is awesome and they are light to move around but also very strong and durable! It will make your dining-room look absolutely gorgeous! 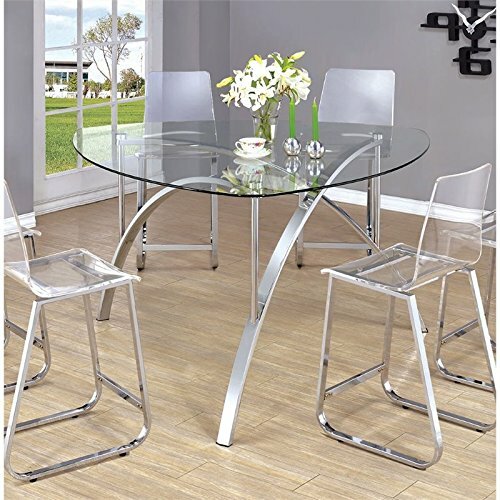 Just add the beautiful transparent dining-chairs around them and you will have an amazing transparent dining-room! The price of this table is not so bad either!